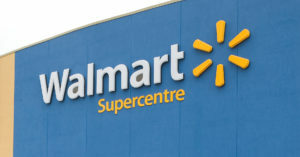 Walmart announced today that it will phase out the use of the toxic chemicals methylene chloride and N-methylpyrrolidone (NMP) in paint removal products it sells in the United States, Canada, Mexico, and Central America, and on walmart.com by February 2019. Today the EPA released its long-awaited “problem formulation” documents for the first ten chemicals under review as required by the 2016 amendments to the Toxic Substances Control Act (TSCA). Safer Chemicals, Healthy Families’ Acting Director Liz Hitchcock issued the following statement in response. Nationwide actions urge ban on toxic methylene chloride after four consumers died since EPA proposed restrictions.